The Australian Human Rights Commission reports that interpersonal conflict between employees, their peers and management is one of the leading causes of chronic stress in the workplace and can result in anxiety, depression and decreased cognitive capacity. Unresolved workplace conflict can escalate over time into a formal complaint, a workplace injury (such as PTSD) and have a serious impact on health, wellbeing and productivity. Most people want to resolve their disputes at work but need help to do this. A short audio clip of a man talking about the impact of a workplace dispute. Two senior executives from the same organisation have stopped communicating with one another. Nina was asked by the HR Manager to resolve the dispute which was having an impact on the rest of the department and distracting people from their work. The organisation was also concerned about corporate governance issues which had been neglected. Nina spoke to the two managers and the HR manager to discuss the goals of the mediation and their commitment. (If there was no commitment at this stage the mediation would not proceed.) Nina encouraged the managers to do some simple preparation prior to the mediation. The mediation consisted of two meetings of approximately 3 hours per session. Nina helped the two executives to identify the things that concerned them most, to discuss their concerns and options for resolution. Nina encouraged both to be open and honest and talk about the things they had been avoiding. They had an opportunity to understand their own behaviour and the impact on the other person. Both agreed to several outcomes. They were able to return to work and work together successfully. Other outcomes from mediation include: an agreement to part company, an agreement to change a position description, payment of outstanding monies, an agreement on some of the issues and a commitment to return to work. 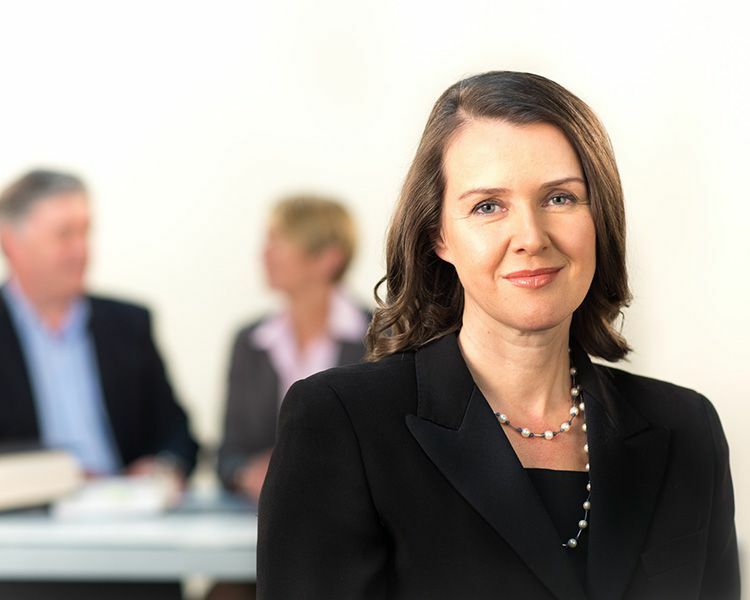 Nina has undertaken mediations for the following organisations: The University of NSW, the NSW Workers Compensation Commission, The University of Technology Sydney, Qantas, St George Bank, the Australian Defence Force and many smaller workplaces. Please download a copy of our free Workplace Conflict Guide from iTunes. The Guide provides easy to understand information for managers and employees involved in workplace conflict. The Guide is written by Nina Harding, John J Whelan and Simone Farrar. 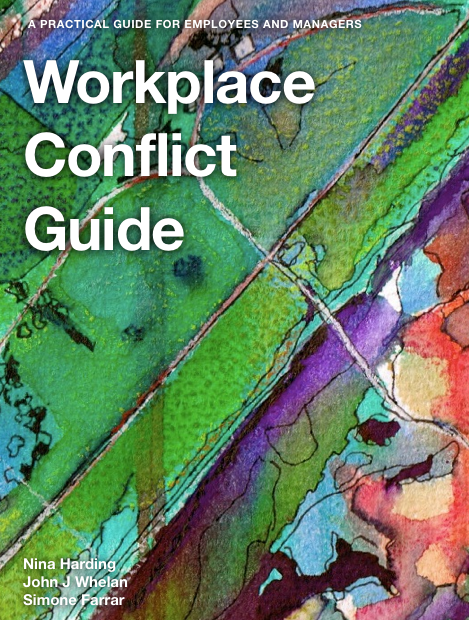 Please note the free Workplace Conflict Guide must be downloaded to an Apple device.